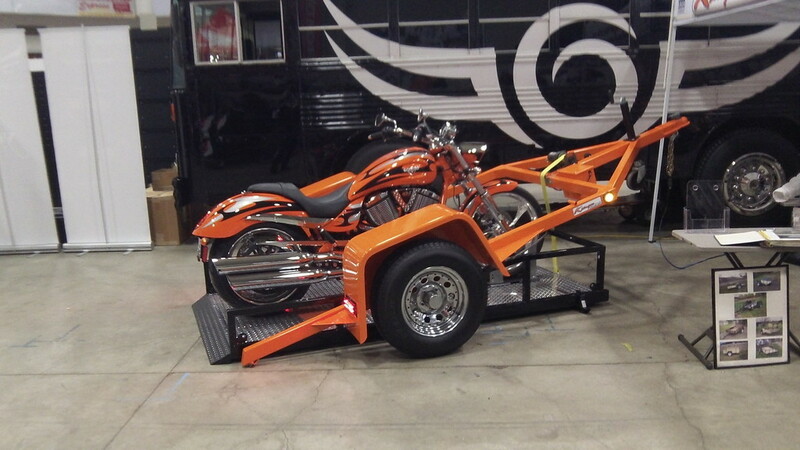 This is a dual purpose drop bed easy load motorcycle trailer. 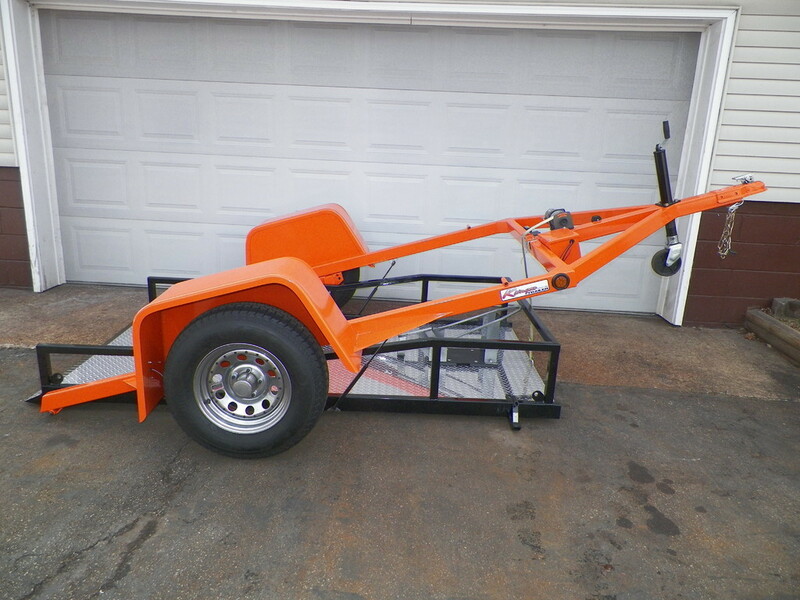 A ramp less trailer. 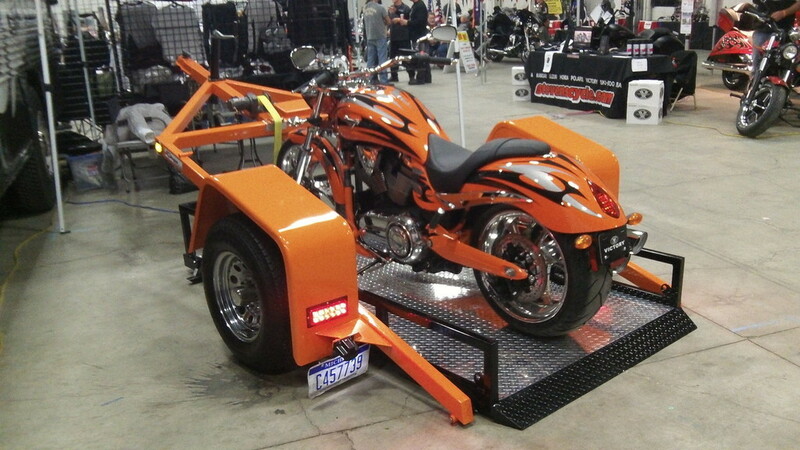 You can now easily load your motorcycle on the trailer with out dealing with any ramps or gates. 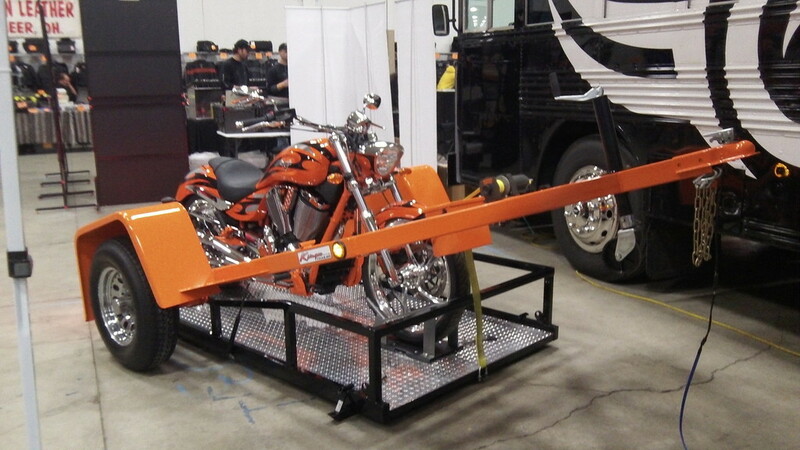 No more worries of dropping your bike or getting hurt when your are loading your bike on the trailer. Let the shocks do the work for you, dropping the bed to allow for easy loading. Just drive it right on the trailer and into the boot. Want to haul furniture, appliances, lawn mowers or other items? 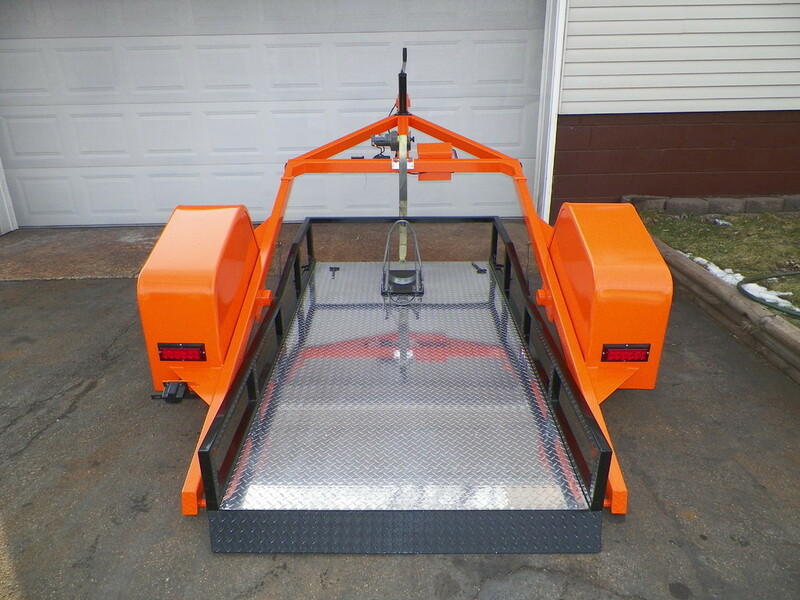 Our removable boot allows for more floor space converting the drop bed easy load trailer for utility use. 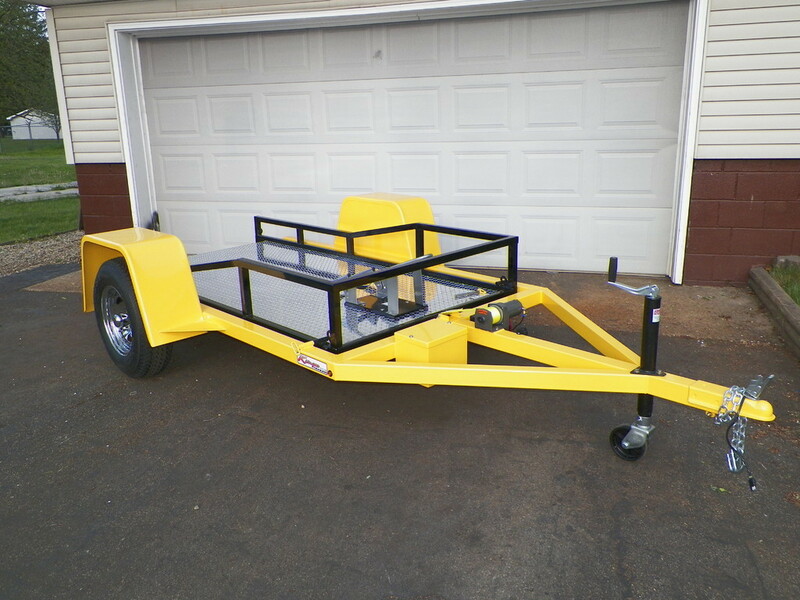 This ramp less two-in-one Drop Bed Easy Load Trailer gives customers the convenience of a motorcycle and a utility trailer all in one. This trailer comes in many sizes. 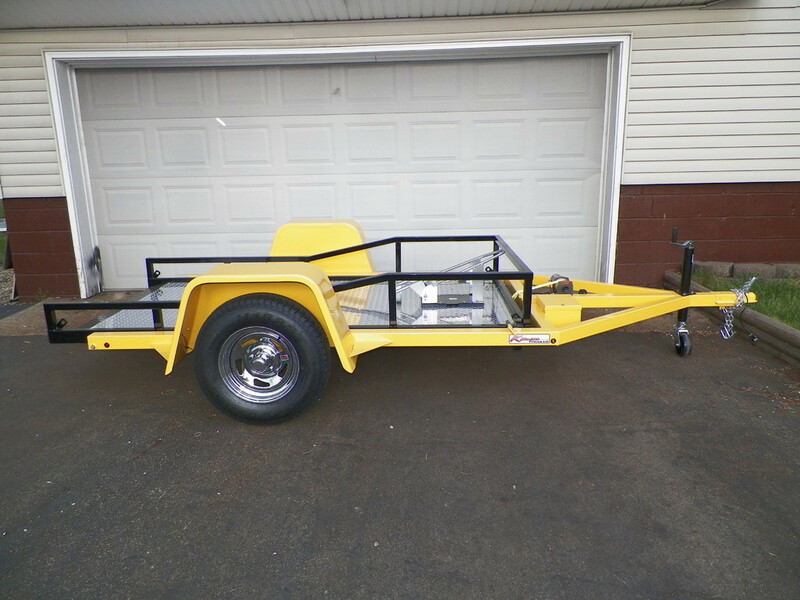 All trailer sizes are inside frame to inside frame. MAX LOAD FOR OUR DROP BED TRAILERS CAN BE UP TO 3,500 LBS PER AXLE. MAX SIZES ARE 68'' X 8' CAN GO AS LONGS 11 FEET. If any of these sizes do not work for you, let us know and we will be glad to try our best to make it fit to your needs. If needed due to size we can do a dual axle drop bed as well. 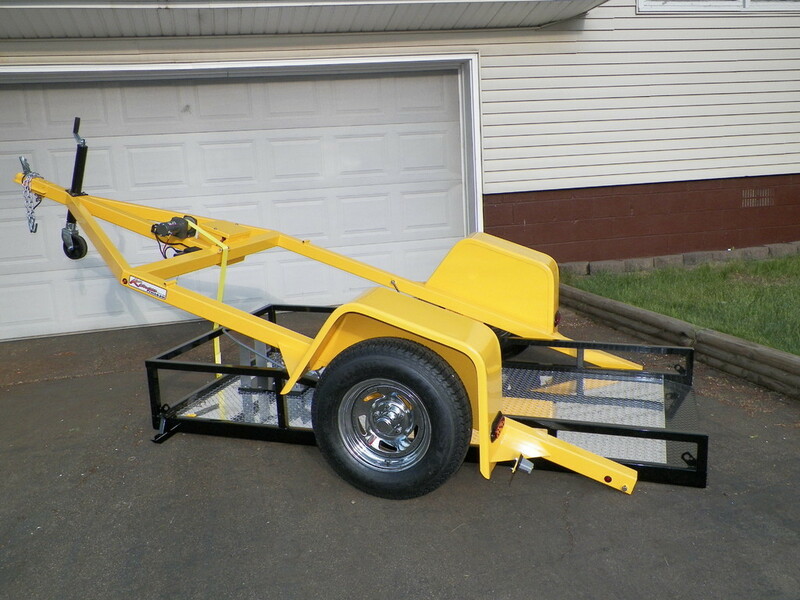 We offer many special options for our trailers like a stone guard, hand winch, color choices and much much more. 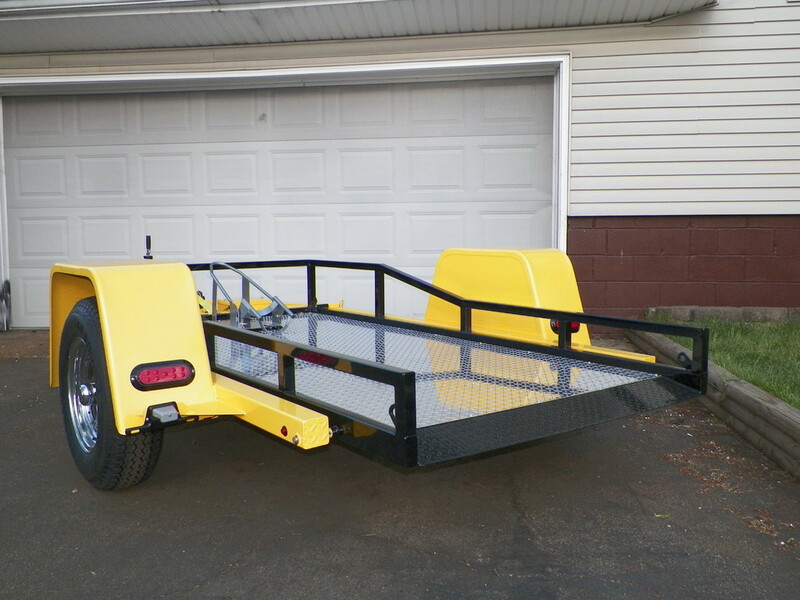 We can custom build almost any options you need to put on our trailer.